March 2014 New Release Giveaway Hop!!! So… what do I have for you this month? As is usual, if any of the books above are in a series, you are welcome to choose one of the previous books instead of the new release. 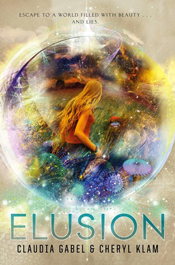 I think I would pick Elusion because the cover is amazing and I think my daughter would love to read it. I would choose The Assassin’s Blade! I haven’t read the novellas for the series yet so I’m crazy eager to get my hands on a copy. Thank you for the giveaway! I’d pick The 57 lives of Alex Wayfare 😀 Can’t wait to read it!! I would pick Side Effects May Vary. Thanks for the giveaway. I would most likely pick Nil by Lynne Matson, sounds like a great read. Thanks for a giveaway! I would probably choose Death Sworn or Elusion!! Thanks for the giveaway!! I would chose Assassin blade. I have my sight set on Nil, thank you! I’d pick Say What You Will! 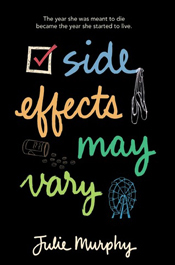 I’d pick Side Effects May Vary by Julie Murphy! Thank you. I’d pick Elusion, because I love the cover, and the story sounds really interesting, even though some reviews haven’t been so positive. I would pick Nil by Lynne Matson. I would probably pick Nil or Elusion. 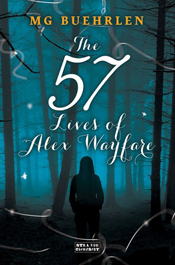 The 57 Lives Of Alex Wayfare, I like the sound of it very much! The Assassin’s Blade! I love Sam sooo much I want to read about him all over again! The Assassin’s Blade or Death Sworn Thank you so much!! I`d love to win Side Effects May Vary! I would pick The Assassin’s Blade. Thanks for the giveaway! I will go with The Assassin`s Blade! 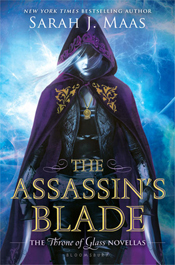 I would love to read The Assassin’s Blade! I think I would go with Say What You Will…or Nil. Hard choice. Either Elusion or Side Effects May Vary. They both look and sound wonderful. Thank you so much. I would choose either NIL or Side Effects! Thanks for the chance! I would pick The Assassin’s Blade or Death Sworn. The 57 Lives of Alex Wayfare…looks so good. That would be my choice. 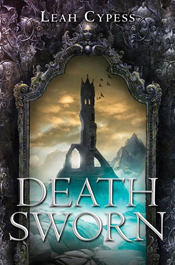 I want Death sworn, I’ve read good things about it. I would pick The Assassin’s Blade. Such a tough choise! I would say it would be between Death Sworn, Nil and Side Effects May Vary! Thanks for the giveaway! I’d choose The Assassin’s Blade! I would choose The Assassin’s Blade or Dangerous. Assassin’s Blade or Elusion. Thanks for the giveaway! I would love to read Nil or Elusion. Thank you for joining this hop! I would pick NIL. Thank you for the giveaway! I would pick Elusion. Thank you so much for a chance to win and for being a part of this fun and awesome blog hop!! Either nil or side effects may vary. They all look good though! Thanks! Awesomeeeeee! I’d love The Assassin’s Blade by Sarah J. Maas Thank you! I would love to win a copy of The Assassin’s Blade. Thanks for the great giveaway! Assassin’s Blade for me too. 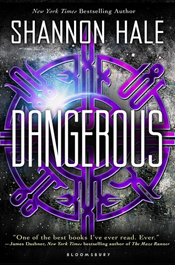 Prooooobably Dangerous, but Nil is pretty tempting too. I would choose Side Effects May Vary or Say What You Will. Death Sworn or Elusion I would like to be surprised Thank you so much for the great choices and the giveaway!!! Side effects may vary I will probably choose! Thanks for the great giveaway! I’d choose Say What You Will, thanks for the giveaway. I would love to own a copy of The Assassin’s Blade! They all look really good but I would possibly choose the Assassin’s Blade. I’d choose Elusion. Thanks for the giveaway. I would most likely pick The Assassin’s Blade! It’s the only part of the series that I don’t own yet. Thank you for the giveaway. I’d pick Elusion. Thanks for the giveaway! I would pick Say What You Will. That cover draws me in. I think Death Sworn, Elusion, Side Effects may Vary or Nil- i haven’t read the series of Assassin’s blade- but want to lol. I would pick Side Effects May Vary. Thanks! …maybe the “Winner’s curse.” Lots of talk about this one. I’d pick Nil or Say What You Will. Thanks! I would pick Panic by Lauren Oliver. Elusion or Side Effects May Vary for now. Thanks! I would probaly choose Nil or Deathsworn cause i know i will end up buying Assassin’s Blade since Celeana is amazing!! Do we really need to pick from this list? If yes, I think I’d like Side Effects May Vary. I’m pretty interested in the 57 Lives of Alex Warfare Thanks for the giveaway! Most likely Nil, but maybe Side Effects May Vary. And I thought Say What You Will didn’t release until May or June? I would probably choose NIL. I haven’t read any of these books so it’s hard to choose. Wow! These are great choices, so hard to pick one, but I think I would choose either Nil, Dangerous, or Death Sworn. Thank you! I think I would pick Say What You Will. I might choose Say What You Will. I would choose Death Sworn. Thanks! I would have to choose Side Effects May Vary! It sounds interesting and I’ve heard so many good things about it! I’d pick Side Effects May Vary. I’d like to win Nil. I’d probably pick *The Assassin’s Blade* or *Elusion*. I think I’d pick Panic by Lauren Oliver. ! Elusion. Thanks for the giveaway! I’m having a hard time choosing among Assassin’s Blade, Dangerous, and Death Sworn. I would choose Say What You Will by Cammie McGovern or The Assassin’s Blade by Sarah J. Maas. Thank you for the giveaway, enjoy you day! 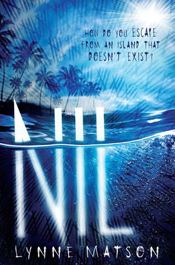 Nil by Lynne Matson! I have this one on my TBR list. They all look so good! I think I’d pick Elusion by Claudia Gabel! Probably Nil or Side Effects May Vary…. I’ll probably choose The Assassin’s Blade or Death Sworn. Thanks for the opportunity. 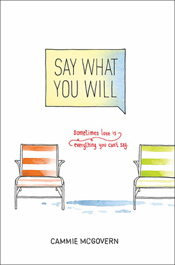 I’m willing to try something new so I’d choose Say What You Will by Cammie McGovern. All would be nice but like–say what you wil. I would choose The Assassin’s Blade because I love fantasy and I plan on reading Throne of Glass any day now. and would love to read the novellas. Thank you for the giveaway! 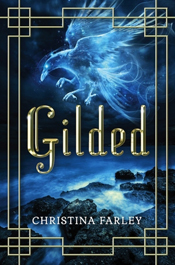 I think I would choose GILDED thank you. I’d like to have Death Sworn. Thanks! I think I would choose Nil. Thank you for the chance to win! Elusion, I think. Thanks for the giveaway! I would like Sarah J. Maas “The Assassin’s Blade”. ID like to read Side effects may vary, please! I think I’d pick NIL! Thanks! The Assassins Blade looks good. Thanks for the chance!